With about 300 years of on & off-road riding experience to draw upon between us, here’s Merlin Cycles staff top product tips to get you through winter. Cold and wet feet are not nice at all. Keeping your extremities dry and warm is tricky when the weather goes downhill. Overshoes range from over socks, (ideal for dry, cooler weather) such as the Castelli Belgian Bootie, to the ultimate wet weather over shoe, the Spatz Pro. While Mitts are great for warmer months, fingers and hands need more protection when the weather turns cold and wet. Keeping extremities warm while cycling is a challenge, hands in particular tend to not do too much and need to be kept warm. Gloves range from the Altura Raceline Windproof for dry cool weather, through to the Castelli Estremo which are designed for the most extreme weather conditions. Shoes specifically for winter make sense. While regular MTB and Road shoes are designed to keep feet cool, this is not ideal in winter. Shoes designed for extreme winter conditions will help maintain warm comfort and performance despite the weather. Keep you and your ride mates cleaner with full winter mudguards, add a flap for extra cover. Whether you are hitting the trails on your MTB or the lanes on your road bike, mudguards can hugely improve your ride and also reduce the workload of the waste water pipe & filter in your washing machine. All those air holes which keep your head cool in summer, make you wet and cold in winter. An under helmet skull-cap will keep your head warmer, reducing wind chill on those really cold days. Winter caps such as the Merlin Core skull-cap will reduce wind chill and keep your head warm. Waterproof caps such as the Sealskinz Cap will keep you drier and will also fit under your helmet. Carrying tools is more important in winter. Having a mechanical is bad at any time, but factor in terrible weather and that urge to retain body heat and keep moving make it even worse. Go prepared. Tool bottles are a cost-effective way of transporting those emergency bits and bobs that can a mechanical. 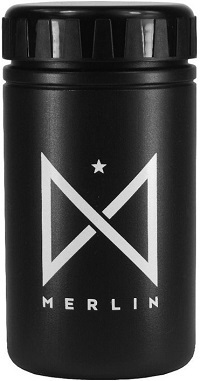 An ideal bottle pack would include a multi-tool, tyre levers, inner tube(s), emergency cash and CO2 inflater. A bike especially to cope with the grime and filth of winter is a great idea. Riding your best road or MTB bike through winter can demand a huge amount of committment to keep it performing as it should. Having a winter bike allows your best bike to take a well-earned rest through the worst of the weather. 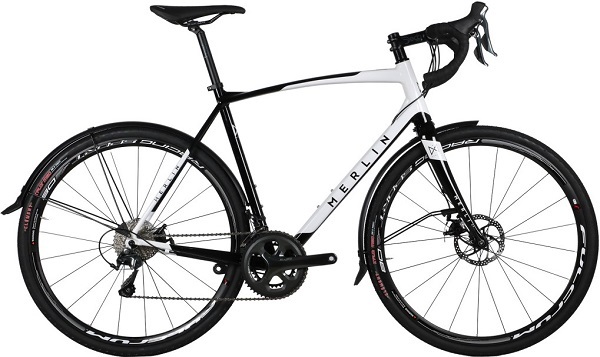 The Merlin Axe (below right) is not just a winter road bike, it is designed tough and with the right tyres can tackle gravel tracks easily. The new Merlin X3.0 bikes (above) are designed and built by our Belgian big brand bike manufacturer to excel, both on and off-road. With 40mm tyre clearance and well-balanced handling, the X3.0 is an ideal bike for winter duties or gravel track fun. Punctures in winter are worse than punctures in summer. Changing tyres in the cold and wet is no fun at all. Fitting the most puncture protective tyres will save you a lot of numb fingered heart-ache at the side of the road. Vredestein Fortezza Senso tyres offer budget protection in a highly rated tyre. The Continental Gatorskin is the ‘go-to’ tyre for many riders through the winter months. Covering your neck is a great way to retain body heat and reduce the chance of neck muscle strains. The Merlin Neck tube offers cold weather protection and the option to pull up the front of the tube to cover your lower face, when the weather gets particularly grim. Keeping legs warm is a challenge when the weather gets very cold and wet. While regular long bib tights might be okay for spring and autumn, as the temperature heads to zero, winter bib tights can make even the coldest of days more enjoyable. Winter tights tend to feature denser material, some have panels with specific qualities such as wind blocking capabilities. 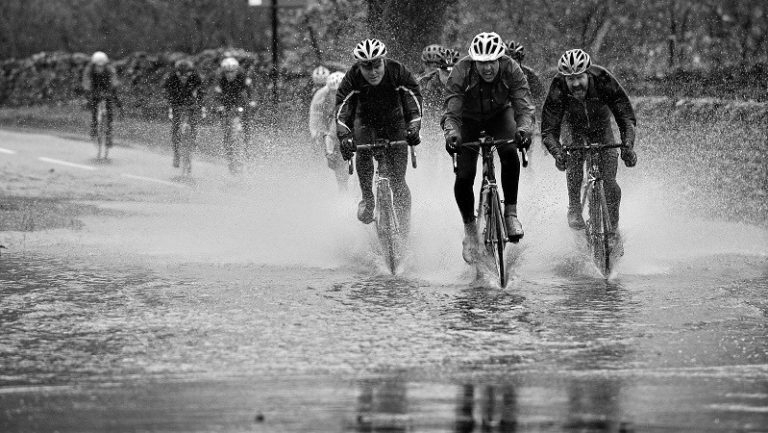 Keeping your feet dry must be near the top of every bike rider’s wish-list. Waterproof socks are the last line of defense-protection for feet. While overshoes are most seen and get the glory job of the outer-cover, socks are the vital, hidden last-chance-saloon for dry feet. Looking after your bike becomes super important in winter. Wet lube will stick to your chain and cassette ensuring silky smooth operation even through the worst of the winter weather. Wet Lube is a durable, chain lubricant and oil that’s been specifically formulated to excel over long distances in wet or muddy conditions. Keeping your chain and cassette clean (through de-greasing) and lubricated will ensure that your bike will serve you well through the winter months. 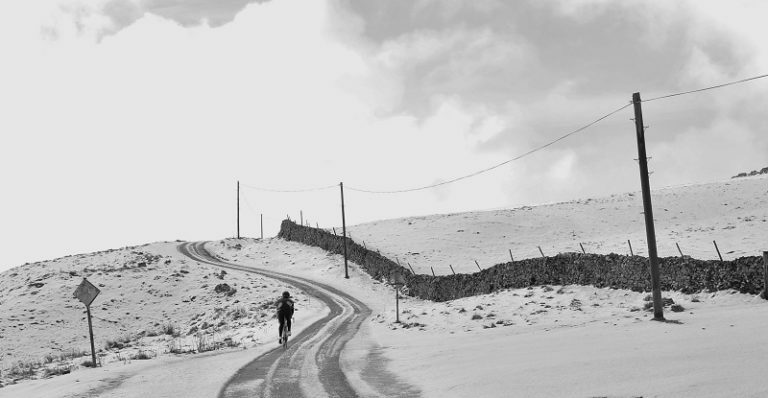 A good quality winter jacket is an essential, core item of clothing for riders contemplating a winter of cycling. Thermal jackets are great for cold weather, Waterproof jackets are brilliant for those inevitable wet days. For the in between days a thermal jacket and a cape which can be stuffed into a back pocket is the time-honoured solution. Whatever the weather can throw up – go prepared. Keep warm on the inside too, eating regular small amounts of food will keep you fuelled and as happy as you can be… Roll on Summer! Tagged bad weather riding, cold cyclling, spatz pro, SpatzWear, winter bike, winter biking, winter cycling, winter riding. Bookmark the permalink.